Workout stations and a lot more. Be aware of muggers during late evenings. Entry is free. However, some activities within the park are chargeable. Love this? Explore the entire list of places to visit in Brasilia before you plan your trip. Fancy a good night's sleep after a tiring day? Check out where to stay in Brasilia and book an accommodation of your choice. People normally club together Mane Garrincha Stadium and Templo Da Boa Vontade while planning their visit to Parque Da Cidade. It's a good place to spent some time with the kids, but doesn't have a decent infrastructure like clean washrooms. Excellent place for practing sports, resting and having picnics with family. Outstanding place in the heart of South wing. 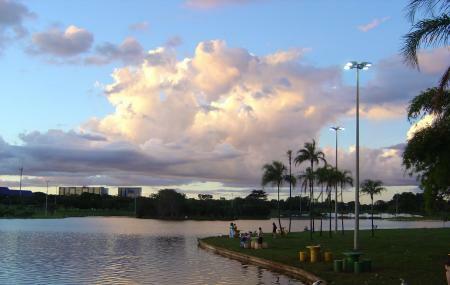 A great place to walk, ride by bike, share moments and think about something while looking the pine trees or the lake. Excellent for a stroll, running or biking. The playgrounds for kids are in a terrible condition, though.